In the first post on Stand Out!, we looked at the D’s of outstanding performances—having a Dream, being Defined, Disciplined, and Directed, while young, having a Deep and Dense lumination that creates a Drive, avoiding Distractions, and Deviating from the Crowd. We continue on with the more D’s of outstanding performances in: having the right models for Duplication, strong Determination, avoiding being too Diluted, and Devotion. It has been found out that presence of readily-available models, who are admired by people with great intensity, usually inspire their admirers to attain greater heights. Michael Phelps won 8 gold medals in the 2000 Olympics in Greece. An 8-year-old boy, Chad le Clos, desired to be like Michael Phelps. He found out that Michael Phelps swims 8 hours every day. He watched all his videos and swam 8 hours every day. 12 years later, at the age of 20, he was standing at the pool edge, in London, with Michael Phelps, in the 2012 Olympics. Meanwhile, Michael Phelps had reduced his training to 7 hours daily. Chad le Clos defeated Michael Phelps in that race and won the gold medal. Some years later, Joseph Schooling came in contact with Michael Phelps in Singapore, and took a picture with him. Years later, Joseph Schooling won a gold medal in swimming, defeating Michael Phelps and Chad le Clos. Iwobi, the nephew of Jay-Jay Okocha, took a picture with him and wanted to be like him. He recently represented the Super Eagles of Nigeria in the just-concluded World Cup Competition. Iwobi was playing for Nigeria, while his uncle, Jay-Jay Okocha, was a sport pundit on SuperSport. There’s the picture, below, of Kylian Mbappé, surrounded by posters of Cristiano Ronaldo, as a young boy. In 2018, Mbappé played in the same world cup with Ronaldo. Both Ronaldo and Messi went home unceremoniously; however, Mbappé won the world cup with France. The problem most black youths are facing, is that their models are not LeBron James, Ben Carson, Barack Obama, Colin Powell, or Condoleezza Rice, or Oprah Winfrey—it will take them too much effort. They choose models like Snoop Dogg, or Tupac Shakur, or some random gangster. Even for these models they have, they don’t copy their literary prowess, business sense, organizational ability, and dedication to duty or profession. They, only, are interested in the musical output and entertainment, fashion, hairstyles, sagging pants, and gansterism. The truth is that you cannot become them by copying their fashion; it is their passion that made their fashion a style. You are merely imitating another man’s dream; you will wake up with a nightmare. You will also see young ladies who want to dress and act like Beyoncé. However, they don’t put as much effort as she does in her passion and work, and they are probably not half as creative or talented as she is. Nigeria is even a more precarious case. Our young people do not have many good models to imitate. Their models are musicians, corrupt politicians, cultists, and political thugs. In our streets, you’ll see young men with very dark skins who have not achieved anything in the yahoo-yahoo (fraud) business with periwinkle hair, earrings, bling-bling, sagging pants, beards on empty brains, and confusing tattoos. Even if you are involved in yahoo-yahoo, can’t you be discreet and elusive? Must you be that loud and easily identifiable by federal investigative officers? You can hardly see an African lady like Nyakim Gatwech—Queen of the Dark—who became an outstanding model, because she was truly African. She left her dark skin, shaved her hair and looks like a true South Sudanese woman. The average black woman wants to bleach her skin to look like the white woman with false hair, false eyelashes, false fingernails, rings in her nostrils and tongues, implanted breasts and buttocks, and a false accent. A lot of them are not outstanding, because they all look alike. Ngozi Okonjo-Iweala had models in her two parents, who are professors of economics and members of the royal family of her community. She is identifiable in any international gathering from Davos, to IMF, and the boardroom of Twitter as an African woman. Oby Ezekwesili, another international figure in the management world, is also very distinctive as an African lady. We cannot, despite any faults associated with her, currently, rule out the fact that the present minister of finance in Nigeria, Kemi Adeosun, stands out in any international gathering as an African woman and an international guru. These women have no time for frivolities. Every outstanding person has determination. The more intense the picture of your future is in your mind, the more willing you are to face the obstacles and challenges that will confront you towards becoming outstanding. A lot of people imagined that Jesus just strolled, supernaturally, into the Sanhedrin. There were guards at the gates. Where did He eat or sleep for 3 days? Was He not afraid? How did He manage to go past the guards into the Sanhedrin? Every outstanding person must have stepped over many obstacles, crossed many rivers, climbed many mountains, jumped many hurdles, and faced a lot of mockery and criticism to get to where he/she is. I recently met someone who got a £45,000 employment as a Mathematics teacher in the UK at Abuja. He was interviewed via Skype, and this Nigerian mesmerized the interview with his knowledge of Mathematics. He later told me that he solves, at least, 2 hours of Mathematics every day, even though he is a pastor and, at one time, a Uber driver. His employers arranged a very beautiful accommodation for him and his wife and gave him a life insurance policy of a million pounds. Meanwhile, his mates, who read engineering with him, are complaining of unemployment. What made him outstanding is not prayers, speaking in tongues, or sowing seeds; it was practice and dedication. The Europeans and Americans practice everything they do from presidential inaugurations, royal weddings, fire drills, emergency fire evacuations, etc. The present-day Pentecostalism creates a delusion in the minds of Christians that there is the possibility of a sudden flight to outstanding performance; outstanding performances or grace cannot simply be tapped into or transferred. It was not so even with Jesus and it cannot be so with you. Anything done casually will probably end up as a casualty. Great preparation, with providence, leads to outstanding performance. 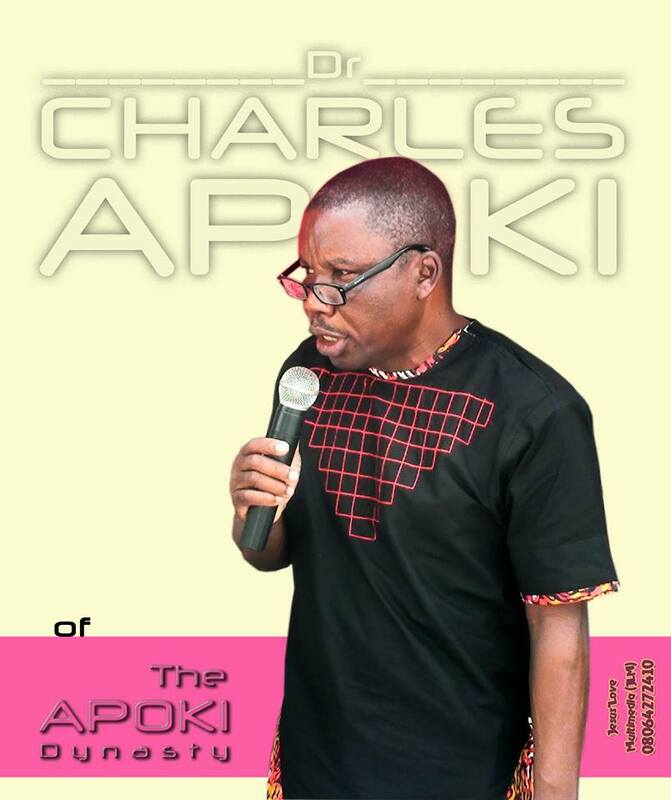 Remember the Apoki’s Formula of Grace and Results. Your dream makes you diligent. Diligence in very little things results in subsequent outstanding performance. A man diligent in his works, according to Proverbs 22:9, would perform in front of kings, not obscure men. To be outstanding, you also need to Discipline your excesses. In Matthew 5:13-16, the Bible says that if salt loses its saltiness, it shall be good for nothing (paraphrased). How can salt lose its saltiness? It can lose its saltiness by over dilution, by an overwhelming presence of a stronger substance with a different taste like sugar, a bitter substance, or a peppery substance. The first thing you must do to be outstanding is to define yourself so as not to lose your ‘saltiness‘. A crocodile remains outstanding inside water, but becomes sluggish on land. If it dares to imitate a lizard by jumping from a tree, it will vomit its intestines out. A lizard is very smart on land and can jump from very high heights and can climb trees. However, if it dares to venture into water, it becomes a snack for a crocodile. To be outstanding, you must define your race, your lane, and run at your pace. Continuously improve on your person, your performance, and your pace. You must also avoid over availability. Air is more important to human existence that water; however, air is readily available than water. Therefore air does not necessarily have a price tag under normal circumstances. The Bible passage above continues that you are the light of the world . . . To be outstanding, you need to find a mountain—a platform—on which to exert your efforts to create noticeability. Go the extra mile, put in the extra effort and do something outstanding. Your deficiency or limitation might be a disadvantage; however, when you stand out, it becomes a peculiarity. Just like the man from Mali in my recent post on Getting Through the Crowd to the Crown, you might be at a disadvantage or deficient, but extra, selfless, efforts results in outstanding performances. To be outstanding is not day’s job and might involve a lot of odd jobs. Being outstanding is not wishful thinking or a sudden flight. It usually takes long-term and strategic planning, practice, patience, perseverance, positioning, and finally, with providence shining on you. Life might necessarily not recognize you; you have to force them to recognize you by being outstanding. Life can put you in a place, but outstanding performance would transplant you to where you should be. Life would treat you the way it treated the other person that looks like you, until you give it an outstanding performance with your difference and peculiarities. Remember, reaching the top is not the problem; staying at the top is much more important. Excellence is not a tribe or status; if you are an Ijaw man, you remain an Ijaw man. One can be outstanding today, and might not be tomorrow. However, don’t let that frighten you. Putting your best wherever you are is paramount. There might be no second chance to make a first impression.